You will find below the horoscope of Keren Ann with her interactive chart, an excerpt of her astrological portrait and her planetary dominants. If you know the time of birth of Keren Ann, we would appreciate it if you would send us your information with your source, at stars@astrotheme.com. To thank you for contributing to the enhancement of our astrological database, we shall be glad to send you the astrological portrait (34 pages) of this celebrity. Horoscopes having the same aspect Venus trine Mars (orb 0°05'): Britney Spears, Catherine Zeta-Jones, Wolfgang Amadeus Mozart, Mick Jagger, Cate Blanchett, José Mourinho, Amanda Lear, Jessie J, Amanda Bynes, Dave Grohl, Michel Berger, Big Sean... Find all the celebrities having this aspect. Celebrities clicked on in real-time: 576,216,216 times. Keren Ann (born Keren Ann Zeidel in Caesarea, Israel, on March 10, 1974) is a recording artist/singer/songwriter/producer based largely in Paris, New York City and Israel. She plays guitar, piano and clarinet, engineers and writes choir and musical arrangements. She is descended from Russian Jews on her father's side and is Indo (Javanese and Dutch) on her mother's. She lived in Israel and in the Netherlands until the age of 11, when her family moved to France. She retains her Dutch and Israeli citizenship. In 2000 she began her solo career with La Biographie de Luka Philipsen—produced by Lionel Gaillardin and Benjamin Biolay, who also co-produced its follow-up, La Disparition (in return, she helped write his debut album, Rose Kennedy). Here are some character traits from Keren Ann's birth chart. This description is far from being comprehensive but it can shed light on his/her personality, which is still interesting for professional astrologers or astrology lovers. 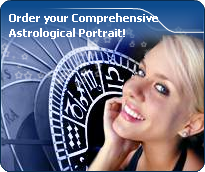 In a matter of minutes, you can get at your email address your astrological portrait (approximately 32 pages), a much more comprehensive report than this portrait of Keren Ann. Warning: when the birth time is unknown, which is the case for Keren Ann, a few paragraphs become irrelevant; distributions in hemispheres and quadrants are meaningless, so are dominant houses and houses' accentuations. Therefore, some chapters are removed from this part. Cheers for communication and mobility, Keren Ann! The predominance of Air signs in your chart favours and amplifies your taste for relations and for all kinds of short trips, whether real (travels) or symbolic (new ideas, mind speculations). You gain in flexibility and adaptability what you lose in self-assertion or in pragmatism. The predominance of Water signs indicates high sensitivity and elevation through feelings, Keren Ann. Your heart and your emotions are your driving forces, and you can't do anything on Earth if you don't feel a strong affective charge (as a matter of fact, the word "feeling" is essential in your psychology). You need to love in order to understand, and to feel in order to take action, to the detriment of a certain vulnerability against which you should learn to fight. Fire's qualities are not very present in your chart, with only 9.48% instead of the average 25%, which means that you may lack warmth, enthusiasm, conquering spirit, or energy. You may look indifferent to others, with almost no desire, no joy of life or no enterprising ability. Actually, it is not true, but you should let go, force yourself to be more daring, and show your amazement as well as your vitality. You certainly have as much energy as others, you just need to release it, and it is up to you to display more of it, since it will be all to your benefit: shout, sing, pull faces, dance! That's the right mean for you... In the end, you'll never be accused of being sad, phlegmatic or a killjoy! The Mutable mode is the most emphasized one in your natal chart, Keren Ann, which indicates a mobile character that is curious and thirsty for new experiences and evolution. You are lively and flexible, and you like to react quickly to solicitations, but don't confuse mobility with agitation, since this is the danger with this configuration - and with you, stagnation is out of the question. Security doesn't matter as long as you are not bored. You optimize, you change things, you change yourself... all this in a speedy way. After this paragraph about dominant planets, of Keren Ann, here are the character traits that you must read more carefully than the previous texts since they are very specific: the texts about dominant planets only give background information about the personality and remain quite general: they emphasize or, on the contrary, mitigate different particularities or facets of a personality. A human being is a complex whole and only bodies of texts can attempt to successfully figure out all the finer points. You are sensitive to beauty, Keren Ann, and your emotional reactions are often of an aesthetical order because, even in the appearances, balance and harmony are necessary for your well being. You easily identify with others, you have a talent for emphasizing their best qualities and you solve their problems with tact and diplomacy. You endlessly weigh the pros and the cons and you constantly try to please your interlocutors. In doing so, you may develop a strong dependency because you need their approval too much. It is difficult for you and your entourage to deal with your indecisiveness because it inclines you towards contemplation more than towards creation and you are tempted to procrastinate unless you try to charm others into doing things for you. But as long as harmony prevails... isn't it what matters? You are a “free-thinker”, Keren Ann, and you tackle problems with a swift and efficient mind. Freedom, progress and originality are your driving forces. You are resolutely future-oriented and with ingenuity and inventiveness, you reform what is outgrown and you constantly innovate: psychology, computer sciences, new technologies... have almost no secret for you. Your human and idealist qualities are obvious, you are a very pleasant and interesting interlocutor, even though your rebellious and revolutionary side may be criticized. Indeed, you seem to be driven by a strong argumentativeness: you seldom share your friends' views and, although you may come across as obstinate, intransigent and unpleasant, you do not hesitate to speak the truth! Instead of causing sudden break-ups with your friends, it is advisable that you express your creative potential more persistently whenever your nervous tension is too high. In love, you are more cerebral and friendly than really passionate, Keren Ann. You are made for amorous friendships, for refined and light feelings where each partner retains one's freedom, and almost detachment, without getting really committed. Sometimes, you may be distant from, and indifferent to, love matters for a while, because you can be completely engrossed in original intellectual pursuits and the collective atmosphere which you are so fond of. You substitute a great number of friendly and light contacts to amorous relationships and it is fair to say that they satisfy you. To fall in love, you need spice and a partner who is original, who amazes you and whom you admire; under such conditions, you can freely express your feelings in an ambiance devoid of constraint, where freedom is perfectly respected and shared within the couple. Keren Ann, your mental activity is exuberant. Ideas are buzzing at high speed and you have the ability to think of several different things and to simultaneously process them. You are less interested in actions on the concrete or physical plane, because once you “see” a solution, its implementation is not that important any more since the crucial thing is that your mind remains bubbling with excitement. You are cerebral and curious and your sexuality is filled with fantasies, where pleasant ideas are mixed up with amplifying and enriching desires. Therefore, you are not simple but if your partner follows you, the stake is really worth it. Verbal jousting, the pleasure to debate and to discuss are continuous, with you. The only danger is to irritate people who may not have your swiftness or your sense of humour. This text is only an excerpt from of Keren Ann's portrait. We hope that it will arouse your curiosity, and that it will prompt you to deepen your knowledge of astrology, as well as to visit and use the wide range of free applications at www.astrotheme.com.